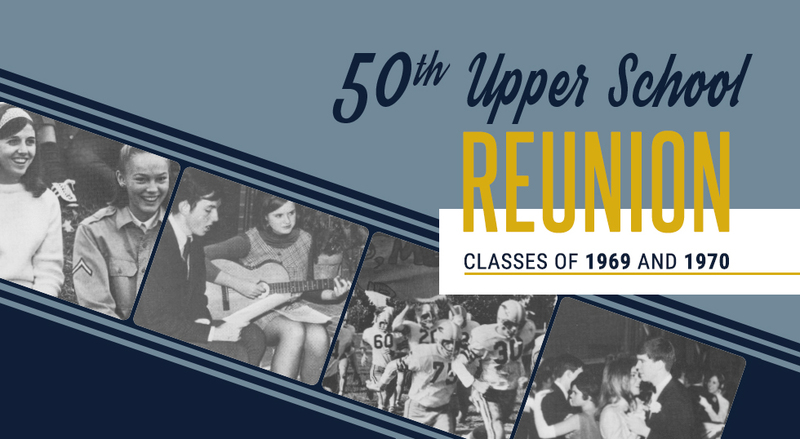 Mark your calendar for our 50th Reunion—September 25–28, 2019! Preparations are underway for presenting our class gift. Here's how to get involved. The Upper School classes of 1969 and 1970 are raising money to support the School Bible program (kindergarten–grade 12). This popular program educates Principia students to become leaders in the world using the foundational morals established in the Bible. For detailed information about how our class gift will support the Bible program, see the class gift case statement. Fundraising Goal: $500,000. Raised: $211,037. Cash gifts by credit card can be made online or by calling Kevin Capp at 314.514.3116. Cash gifts (by check or credit card) and multiyear pledges can be submitted. Please download and print this form and mail it to the address provided. Stocks, IRA distributions, or charitable gift annuities are also common methods for giving. If you have questions related to your gift, please contact Kevin Capp, director of development programs and annual giving, at kevin.capp@principia.edu or 314.514.3116. If you have contact information for any of these classmates, please notify any Reunion Committee member so that he/she can be in touch with them about reunion.